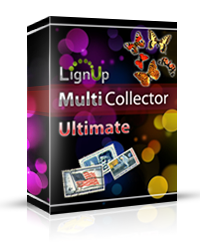 LignUp Ultimate MultiCollector license is a universal serial number for any collecting and organizing related software from our site. This includes all already published software. Customers with ultimate license are able to install and use organizing programs on 2 PCs (2Win, 2Mac or Win + Mac). The license is attached to the computer, all software should be used on same PCs. Download each product separately, from their description pages. Use the same serial to register all installed programs. Buy ALL collecting software right now! Save money on bulk purchase! License term: Unlimited for current software version, 1 year of free upgrades. Ultimate pack for VIP customers. License term: Unlimited for current software version, 3 years of free upgrades.